Rock County is accepting applications for the District 26 seat on the Rock County Board following member Vicki Brown’s resignation. 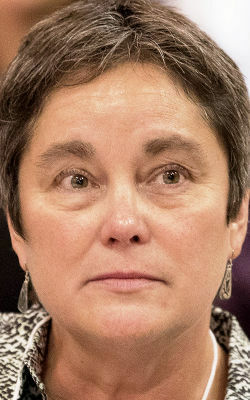 Brown won election to the seat in spring 2018, ousting incumbent Dave Homan. She resigned last month because she moved out of the district. District 26 covers wards 5 and 6 in the city of Janesville, wards 6 and 7 in the town of Rock, and wards 1, 2 and 7 in the town of Janesville. Brown’s resignation opens the door for a new member to join the 29-person board. Homan, who held the District 26 seat from 2016 to 2018, said Monday he plans to apply for the position. County Board Chairman Russ Podzilni will assemble a committee of board members to interview applicants and recommend a suitable candidate to the full county board, which must approve the appointment. The appointee will serve until April 2020, when Brown’s term expires. Before Brown’s resignation, Homan said he planned to run against her in 2020. “There’s a lot of things I really wanted to work on. It fell short because elections happen, and elections have results,” Homan said. Brown, who was one of the board’s more vocal and active members, said Monday she “thoroughly enjoyed” her short stint on the board. Individuals interested in applying to the District 26 seat should write a letter listing their qualifications and expressing why they want to be a Rock County Board member.